The United Nations Committee of Experts on Global Geospatial Information Management (UN-GGIM), in collaboration with the Government of México through Instituto Nacional de Estadística y Geografía (INEGI) will convene the Fifth High Level Forum on United Nations Global Geospatial Information Management in Mexico City from 28 - 30 November 2017. This fifth edition of UN-GGIM's High Level Forums will have the substantive support from each of the five Regional Committees of United Nations Global Geospatial Information Management (UN-GGIM: Africa, UN-GGIM: Americas, UN-GGIM: Arab States, UN-GGIM: Asia and the Pacific, and UN-GGIM: Europe), as well as the UN-GGIM: Private Sector Network, the UN-GGIM: Academic Network and the UN-GGIM: Geospatial Societies. UNSD/DESA and INEGI (the national statistical office of Mexico) will jointly organize a meeting on compilation issues of international merchandise trade statistics. The purpose of the meeting is to review the full draft Compilers Manual for the collection, processing and dissemination of trade statistics and to gather country experiences and good practices. 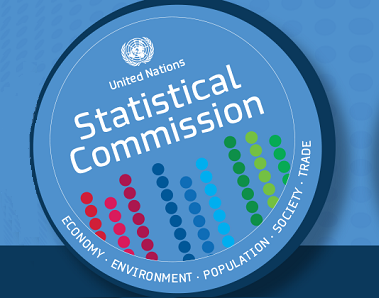 Participants in this meeting will be trade statistics experts from developing and developed countries. The meeting will cover all aspects of quality assurance of merchandise trade statistics and will discuss issues like data sources (customs administration and enterprise surveys), institutional arrangements for data exchange, integration of trade data from different sources, data processing, preparation of meta-data, dissemination of data and the calculation of external trade indices.